Guys, I am sick. No-more-denying it, elephant-sitting-on-my-sinuses, don’t-feel-like-doing-anything, every-breath-is-miserable sick. Ugh. Nonetheless, there are some happy moments to be found. 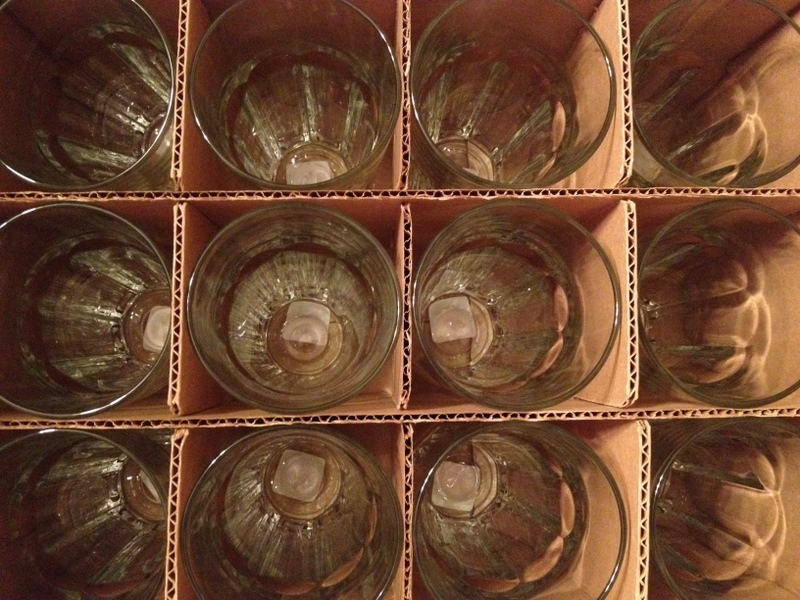 Today our drinking glasses finally arrived! And none of them were broken! This is nothing short of a miracle, and especially because they’ve been on back order for ages and the shipment has been delayed at least four times. (These are totally ordinary glasses, by the way. Mysterious!) I was starting to think I’d be drinking out of my Nalgene forever, but, hurrah, those days are over! And I’m grateful that I have a husband who will kick back and watch Portlandia with me on a Thursday night, because that sounds like the only thing I’m really capable of. 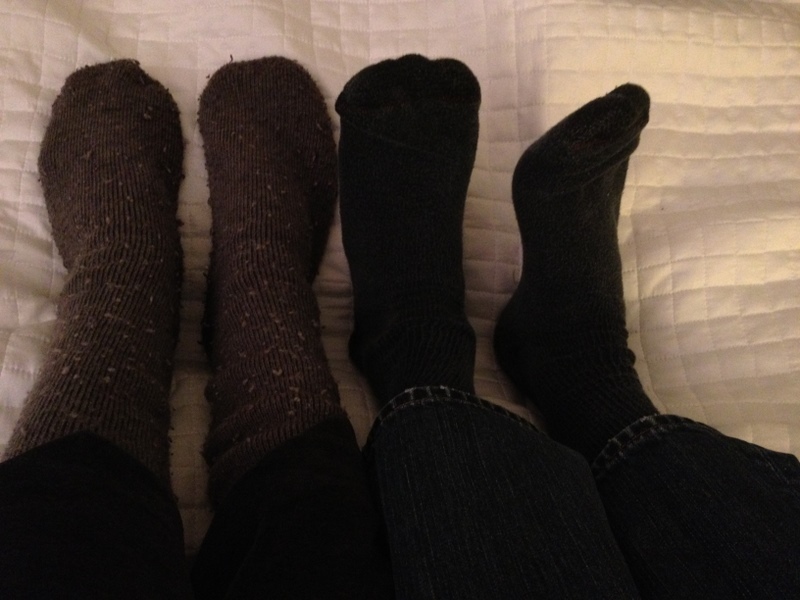 My feet are the chubby ones on the left, bulked up by my beloved 30 Below socks. I am also most grateful to be posting this from the comfort of my own bed, where he’s sitting by my side, keeping me company. There are wonderful memories that we cherish of our wedding, our honeymoon, our proposal, but I almost think the ones I love the best are the simple ones like these, when I feel so overwhelmingly loved in a totally everyday sort of way. I am so grateful. This article in the NYT by Heather Havrilevsky, on the pros and cons of a self-sufficient life in the country vs. a hectic life in the city, got me thinking. And talking. While I’m neither raising four kids on a ranch in Oklahoma nor raising two in hustling and bustling New York, it made me ponder my own constant desire to make–literally–my own life. Havrilevsky certainly makes some valid points, but I don’t agree with every twist and turn of her logic. There are a few false dichotomies and straw man arguments, to my thinking, but I’m grateful for the impetus to think through my own standing on these issues. It all started for me a few years ago, when I started paying more attention to what I was buying and what I was doing in my kitchen. I got this crazy idea of trying to make the things I usually buy, all packaged and ready to eat. For me, this wasn’t too much to start with. Bread, crackers, graham crackers, granola bars, tea biscuits. Some of these were more successful than others, but I had so much fun making all of them. Why did I do it? I’d be lying if I said I weren’t concerned with the level of processing most of our packaged food goes through, and, in this day and age, that is a very common sentiment. However, I think there is a deeper issue at hand. Havrilevsky suggests that we make our own food because we want to be in control, we want to duke it out with nature, we want the feeling of accomplishment and of being self-sufficient. And I can’t argue with that, on a certain level. When I make my own bread, I feel good about knowing what all four of the ingredients are that went into it. But there is something much bigger there: the desire to understand how things are made. My experiments in the kitchen are the product of a deep curiosity. I have learned so much by making these things, and, on some of these things, I’ll never turn back. Fresh baked bread is a luxury I’m willing to work for (especially since I usually use a no-knead method). On some of them, I definitely need more practice. And some of them, after hours of labor, I decide are more trouble than I’m willing to invest. But that doesn’t stop me from wanting to try my hand at new things. Next up on my list are mustard and pasta, and I keep asking Eric if we can get a yogurt maker. They’re not that expensive, and we go through a lot of it! The other draw for me, I think, is that these processes make me feel closer to those who came before me. Don’t get me wrong, I am grateful that my dabblings are a choice and not a necessity. 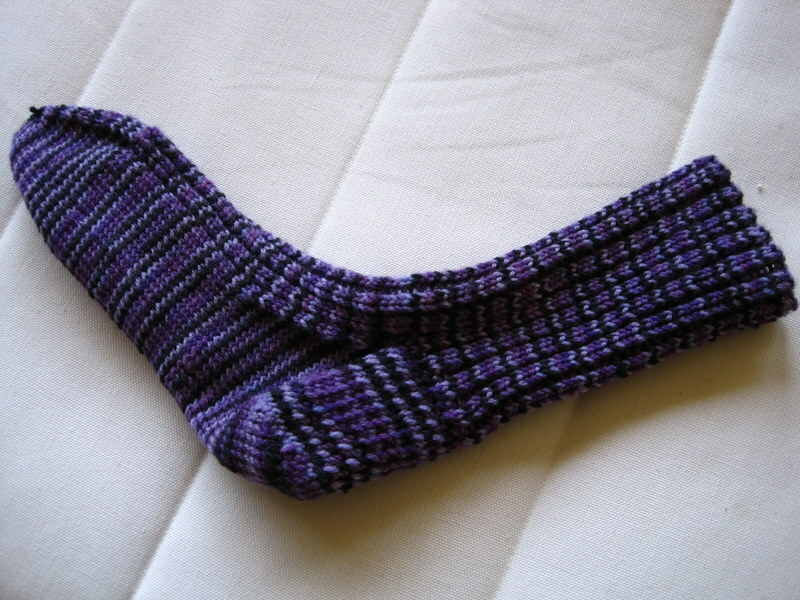 Heaven knows that if I had to knit all the socks for my family, we’d have frostbite, and if I had to sew all our clothes, we’d look like circus clowns. But I am still trying, in some small way, to experience some new appreciation for the things my ancestors did on a daily basis as a matter of course. It makes me feel good to have that connection to them. It makes me feel good to think I am reclaiming knowledge and skills that have been lost or missed a generation, things of real value that I am happy to do my own tiny part to resurrect. And also, maybe most importantly, I think there is a magic that is found in making things–a wonderful, everyday sort of magic. I’ll never cease to be amazed at how bread dough rises, or how basil leaves are transformed into a cool and creamy pesto. 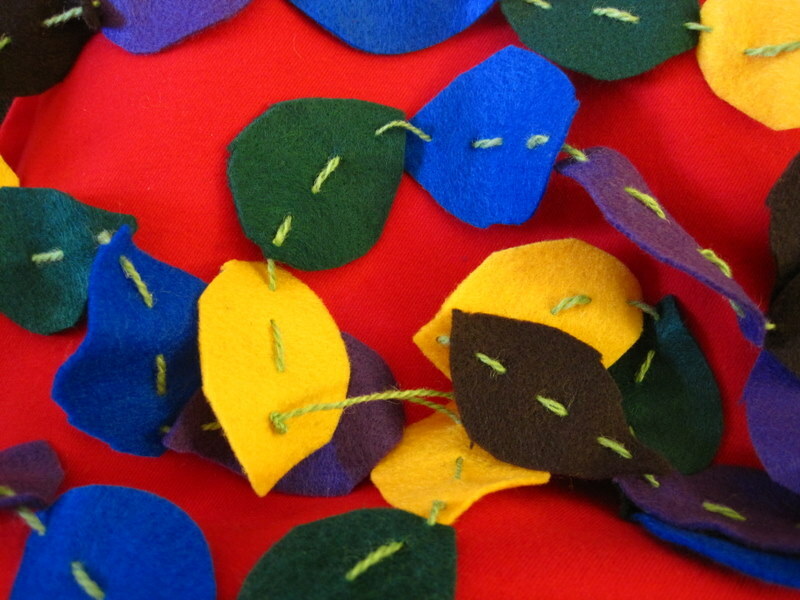 I think this carries over into a lot of my passions: gardening, knitting, sewing…it’s incredible to watch something slowly emerge from raw materials, something that is, in the truest sense of the word, more than the sum of its parts. I’m grateful to be able to explore that on a daily basis. And I’m grateful that it is a joy rather than a necessity. I’m always proud to have made something with own hands, something that delicately toes the line between fun and function. That, to me, is a beautiful thing. I’ve been looking through old pictures tonight. They are such incredible treasures, and I love having them all at my fingertips. There are so many I wanted to share, but I decided on this one. My brother took it in 2005 when we were taking a trip up the coast, all the way to Vancouver. He cracked me up for most of the trip by taking only pictures of the back of me, “for scale,” as he explained it, so everyone would understand just how big those waterfalls were. This picture is sort of a rarity in that you can see a tiny bit of my face. 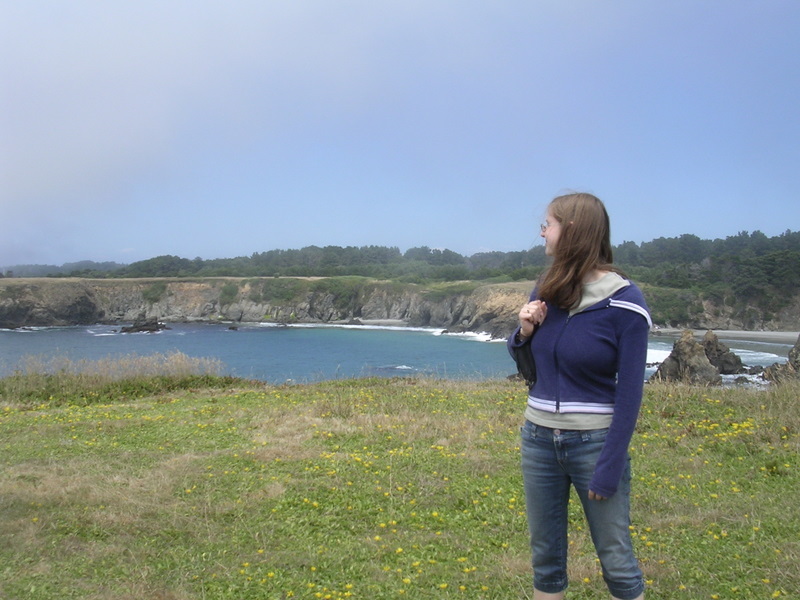 We found Mendocino foggy and cold, but the seascapes were gorgeous. It’s hard to believe that this was seven years ago. My, how the time flies. I’d like to think that in some ways I am still the same girl, in awe of the world around me. I hope I never lose that. And I hope I can take some more trips with my brother. He is one of the world’s greatest travel companions. And not just because he actually likes to drive, but because he has a limitless love for adventure, a never-ending collection of great music, and and the most unexpected hilariousness when you really need it, on mile 1,294. Love you, brother. I am undergoing a serious obsession: chocolate and cayenne. The idea popped into my head late one night last week, and ever since then, I haven’t been able to get enough. I have always loved spicy food–I think I get it from my mom (thanks!). My first thought was to make some breakfast muffins, and, accordingly, I used my staple whole wheat and coconut flour combination (a 3:1 ratio). I have been using whole wheat flour a lot lately. Why? Well, I feel good about getting a solid dose of whole grains in at breakfast, and also, I like the taste of it. When it’s time for cake-baking, I break out the AP flour and white sugar, but for breakfast these days, I’m trying to keep it a bit more healthy. The wonderful thing is that you can really taste the whole wheat and a bit of the sweetness of the coconut–coconut flakes would actually be a great addition if you like the flavor. 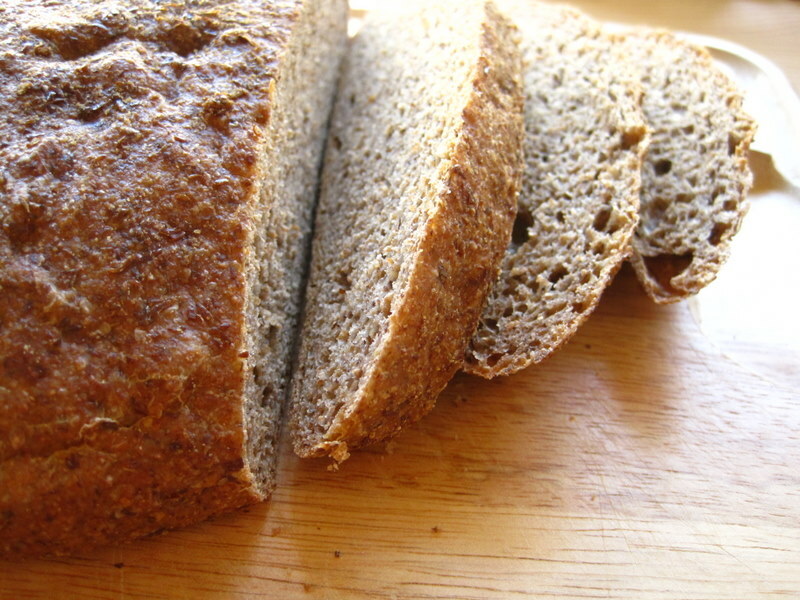 If you aren’t a fan of whole wheat, though, just substitute your preferred flour. I kept it light on the other ingredients as well–I used sour cream and buttermilk in place of butter, and I used turbinado sugar and honey instead of white sugar. The result is a breakfast I can totally feel good about, and one that won’t have me dragging by 11am. That makes me happy. Especially when said breakfast involves chocolate. 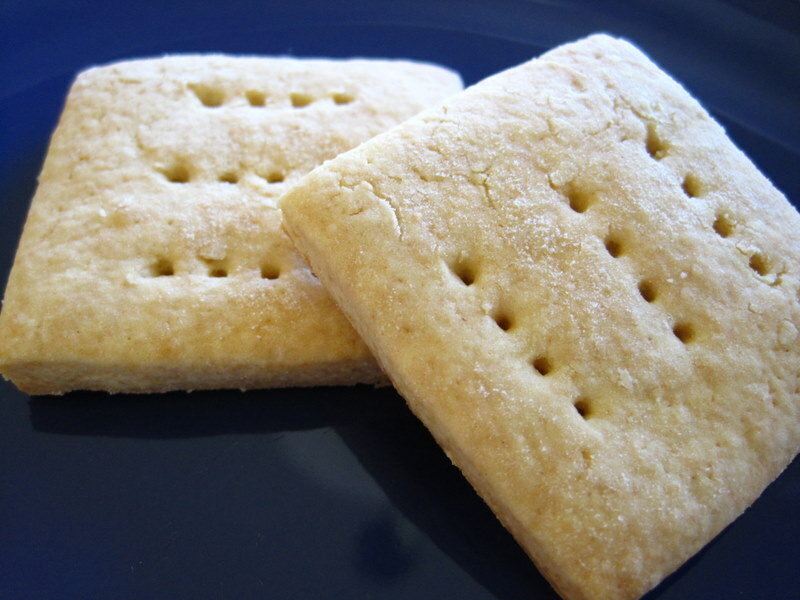 These bake up quickly and are incredibly dense and moist. I’ve been eating them for afternoon snacks (and sometimes dessert) too! I would be remiss if I did not mention that they do have a serious bite. To me, it’s delightful, but if you aren’t looking for a kick in the mouth first thing in the morning, feel free to dial back the cayenne! 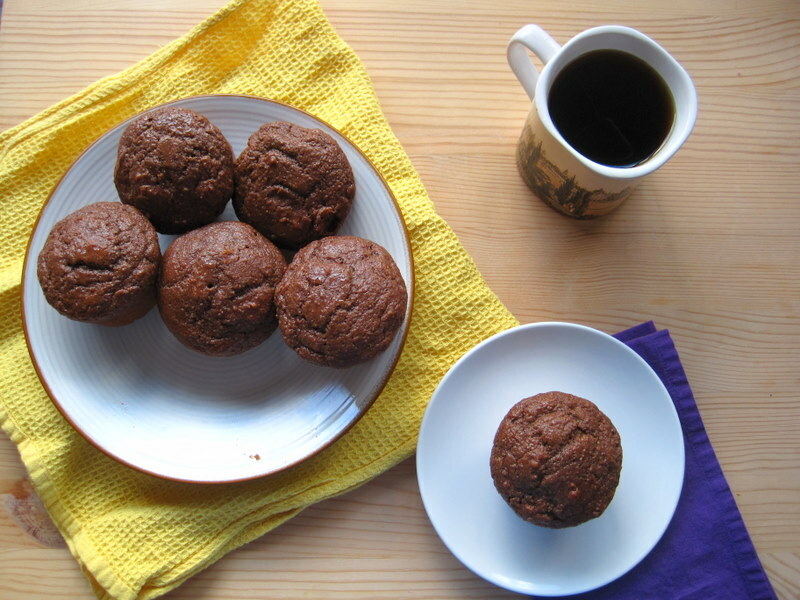 I’m so pleased that I was able to throw these muffins together out of what I had in my kitchen. Experimental recipes that work out well on the first try call for celebration! Hope you enjoy! -Preheat the oven to 350F. 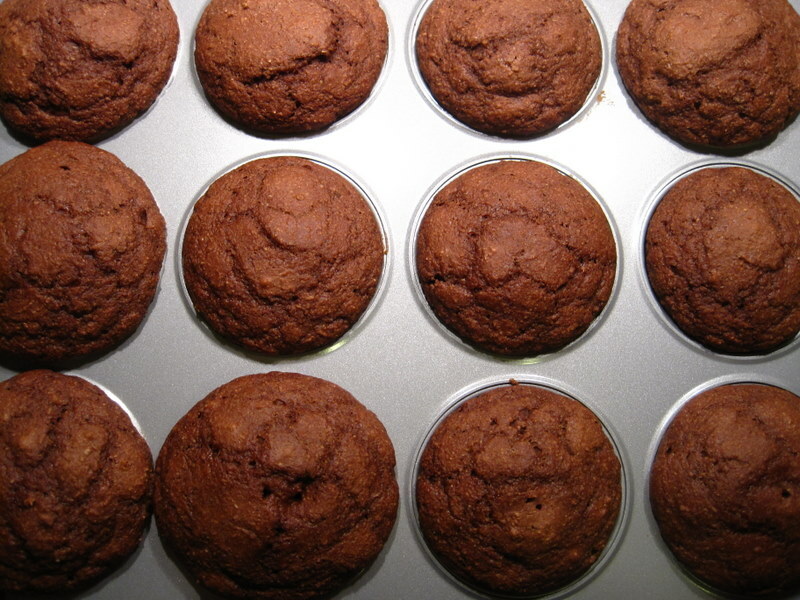 Lightly grease a muffin pan, or line it with muffin cups. 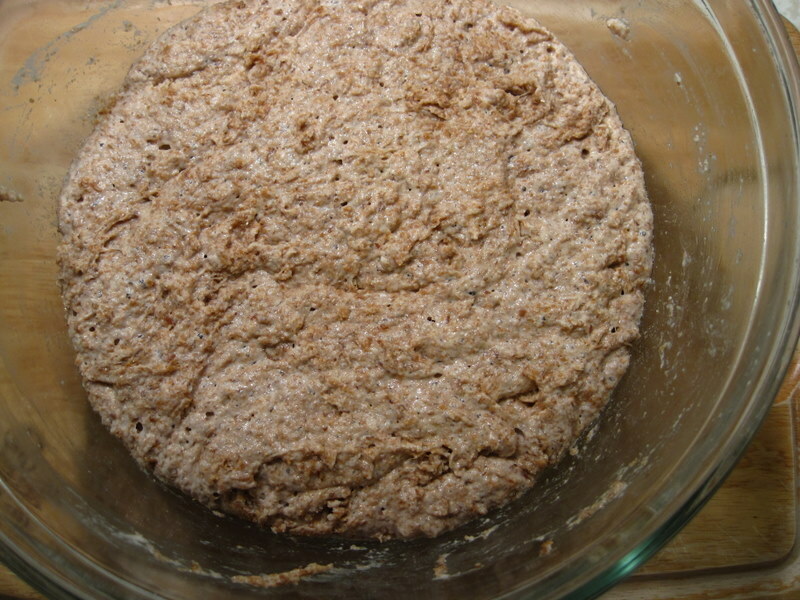 -Stir the dry ingredients together in a medium bowl. 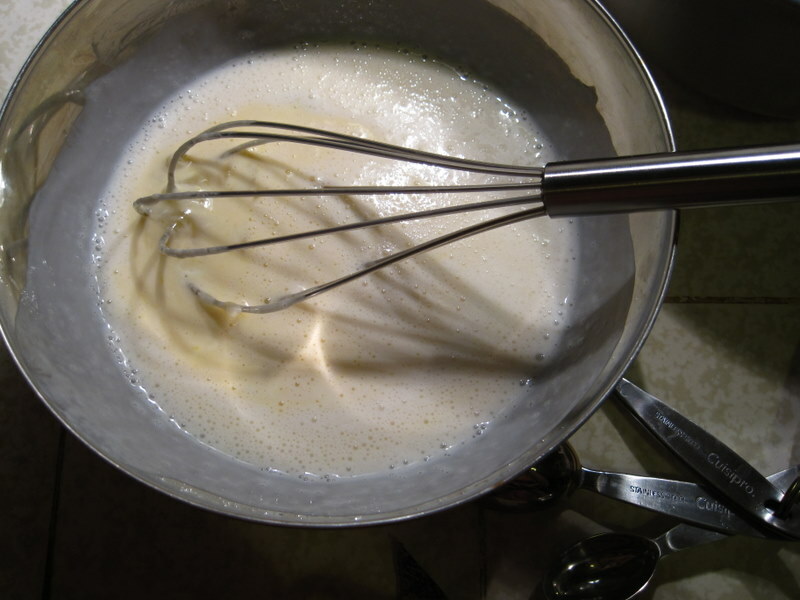 -Whisk eggs in another medium bowl, then add the rest of the wet ingredients. 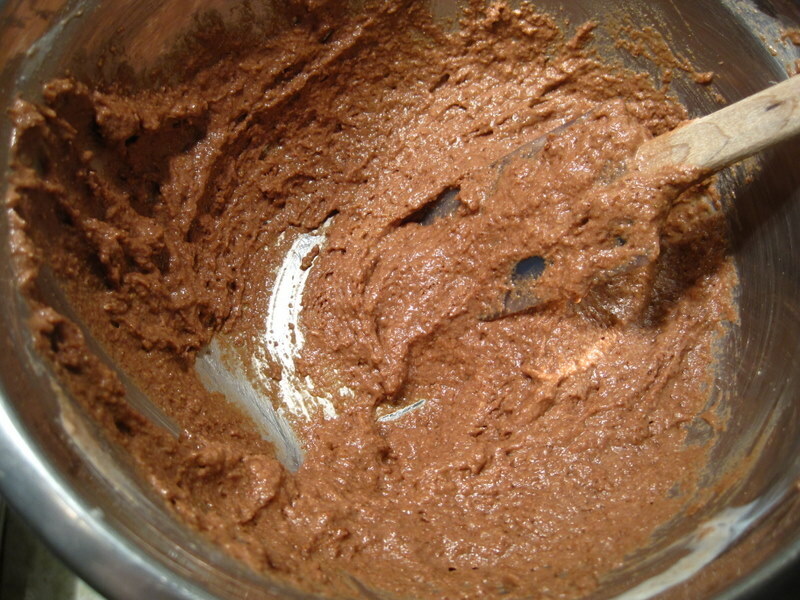 -Add the wet ingredients to the dry and stir just until combined. -Spoon batter into muffin pan. Bake for 18-20 minutes, until a toothpick inserted in the center of the muffins comes out clean. 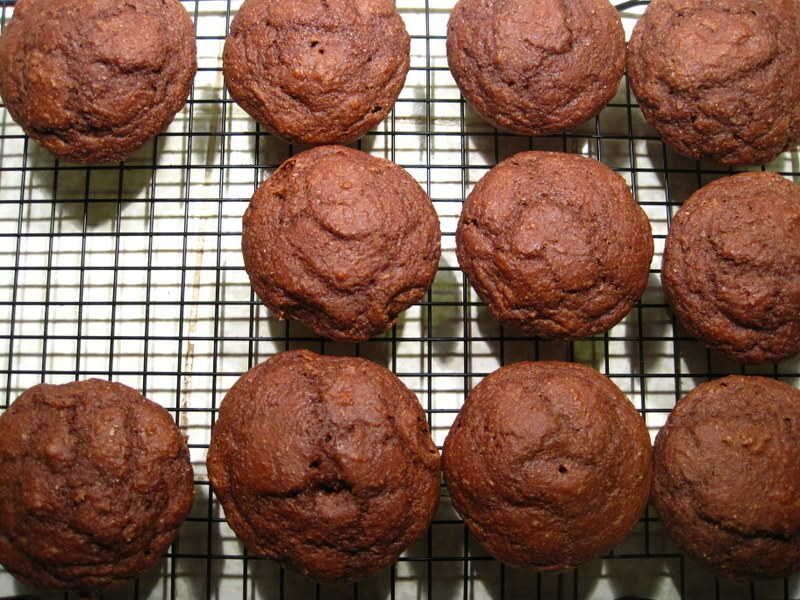 -Cool for 15 minutes, remove from muffin pan, and enjoy! When I was putting this look together, I asked Eric if he thought I should wear a different color shoe, since the hem of the skirt is also red. He took a look and then said, “Nope. Ketchup and Mustard!” I might have used that as the title of this post, were it not for my lifelong vendetta against ketchup (too sweet! ), but mustard and I, we get along just fine. I have been wanting to find some pieces in this color for quite a while, so I was so happy to find this sweater at a thrift store in Memphis. And then I found a heavier long-sleeved version, made by the same label, the very next day at a different thrift store. Mustard bonanza! I found this beautiful silk skirt at the same store, and I fell in love with it. It’s so light and soft, and the best part is that it has a pocket! That is always a win! 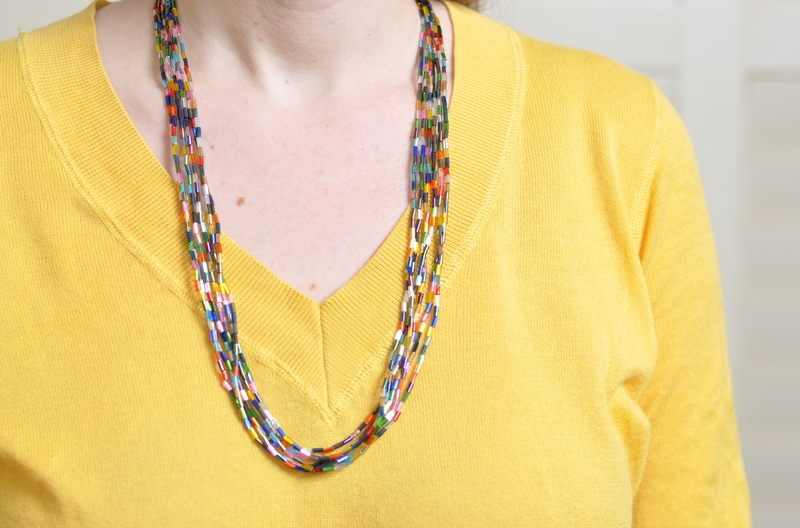 Upon the suggestion of my sweet friend Moriah, I wore my new bugle bead necklace. I just made it a few weeks ago, and I love how it looks with the mustard. I also wore this bead loom bracelet, which I finally finished and put a clasp on this weekend. Hurray! 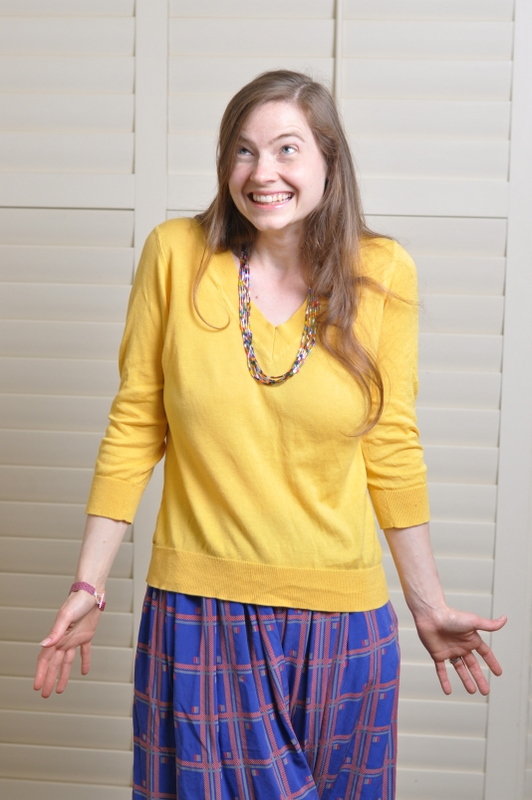 To step behind the scenes, I have to tell you how fun and funny these photo shoots are. Eric is a great photographer, and he always cracks me up. It’s impossible not to smile at him when he smiles at me, and he sometimes asks me questions to elicit a facial expression or gesture. Genius. But sometimes, like last night when we shot these pictures, I am at a loss for expressions, and he gets something like this, which makes us both laugh. He is the sweetest. And the best! Hope you all had a lovely weekend! Ours was chilly and rainy, and involved a lot of knitting, baking, and hibernating, but it should be clearing up soon! Eric and I moved into our apartment in Pasadena in August, and, ever since then, I’ve been plastering the walls with pictures and paintings, doing my best to make this space our own. I think this is a habit I picked up in my first year of college–something had to be done with those cinder block walls! I’ve been moving things around lately to see how they look in other places, and this has very serendipitously resulted in this one little place that I love with all my heart: our mantel. It is so *us*, and I love glancing up at it from our couch or kitchen. 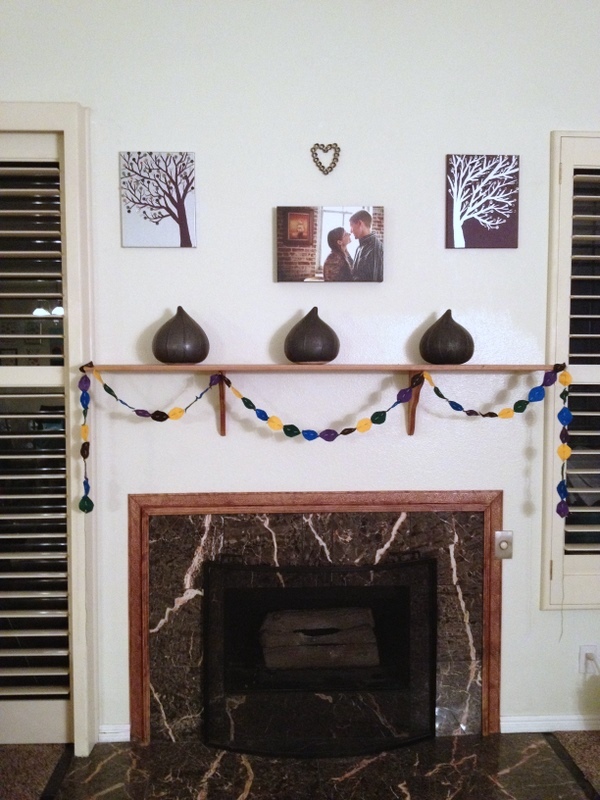 I made this fall leaf garland to usher in my most favorite season several months ago, and I never took it down. It just looks so cheerful, and I have no problem with it being perpetually fall in our apartment. The three pieces on the mantel are actually garden sculptures, but they are more commonly known in my family as “the garlics.” My mom found them for 50 cents at Ikea five years ago when she was helping me decorate my apartment, and they have been fixtures ever since. Have I mentioned that my mom is awesome? 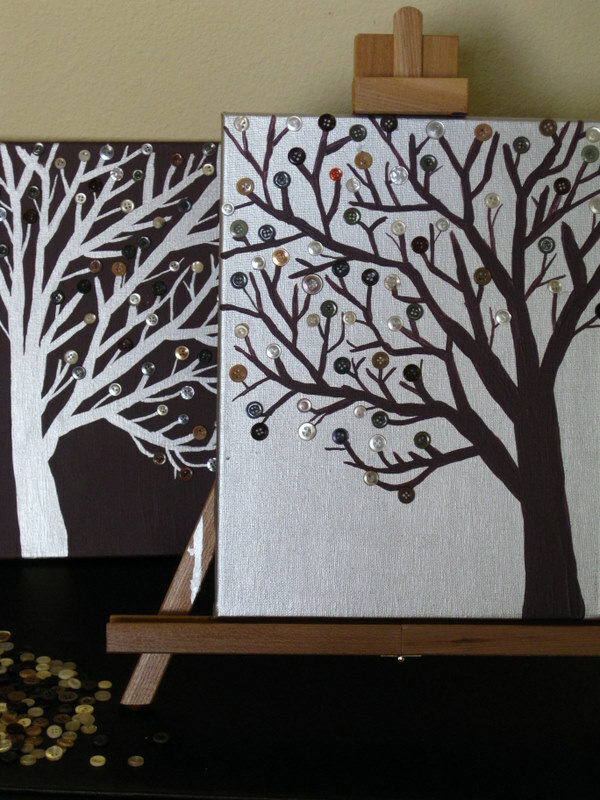 These button tree paintings are a happy reminder of the first time I put a paintbrush to canvas in years. I love having this tangible memory of how wonderful it felt to be creating again. 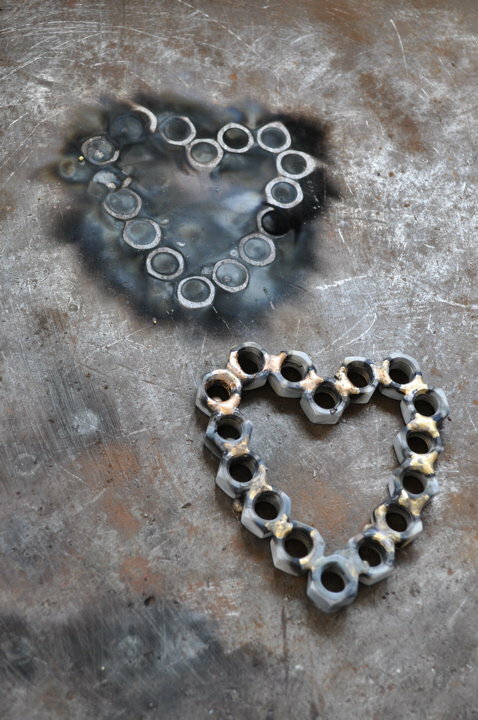 One of the most special things in our whole house is this welded heart. A few years ago, Eric’s parents came to visit, and Eric’s dad noticed my many lists hanging in the kitchen. He saw that welding was one of the things I wanted to learn how to do, and he tucked it away in his mind. Several months later, when we went to visit the farm, he had a surprise for me: a welding lesson! He taught me the method on some practice nuts, and this was my final project, a heart. The amount of love and care that went into this still just astonishes me. What can I say, this is the family I married into! I am the luckiest girl in the world. And the final piece of this mantel just arrived yesterday: our gallery wrap canvas from Amy Dale! For those of you who aren’t familiar with Amy, she is the world’s most spectacular photographer. She did our engagement shoot and our wedding. If you are anywhere near the Memphis area, I would highly recommend that you have her shoot your wedding/engagement/high school portait/family portrait/day in the life photos. Amy takes such care to know her clients, and comes through beautifully in her pictures. The image above is the one on our canvas. I had told Amy how much I appreciated it that Eric liked going to junk stores to look for art supplies with me, and so she took us to this awesomely rambling antique store in downtown Memphis, where this beautiful shot was taken in the afternoon light. When I opened the box yesterday, I gasped, and then I cried, and then we hung it up right away, in the perfect space: just above our mantel. I love how it completes the space and makes it not only ours, but also us. I love these socks. They were a Christmas gift from one of my roommates in college. They are so bright and cheery, and they have a soft and fuzzy pink liner inside. This charmed me most especially because it matched the ridiculous hot pink shag carpet in my room (hers was day-glo orange). Many are the memories from that severely leaning house (my dresser drawers would not stay shut) with its non-functioning heater, but the happiest are those involving my sweet friends, who’d happily share their nuts for cornbread or just throw giant barbecues for the heck of it (Steve, I think I owe you $1,000 worth of portabella mushrooms. At least). I’ve been wearing these socks and thinking of my sweet friend for the last seven years, but they are finally giving up the ghost. As I was cleaning out my dresser this past weekend, I pulled them out, but instead of throwing them away, I tossed them into the sewing scraps pile. If I can’t wear them on my feet anymore, then I’ll wear them on my arms! I actually got this idea from one of Eric’s classmates. 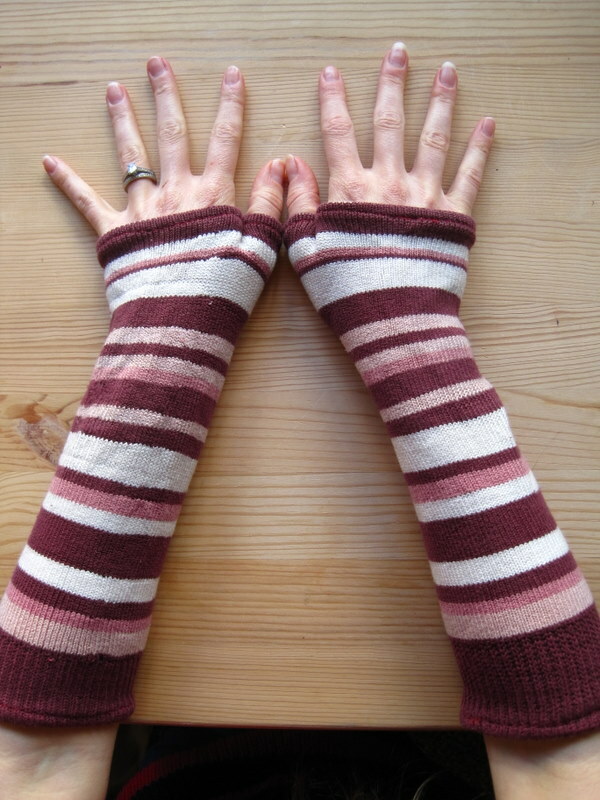 She was awesomely creative, showing up to all the physics parties with artful outfits, and these, armwarmers made of socks. I was taken with the idea, but I must have filed it away somewhere behind all my dissertation stuff. I am glad to see that it was still in there after all these years! 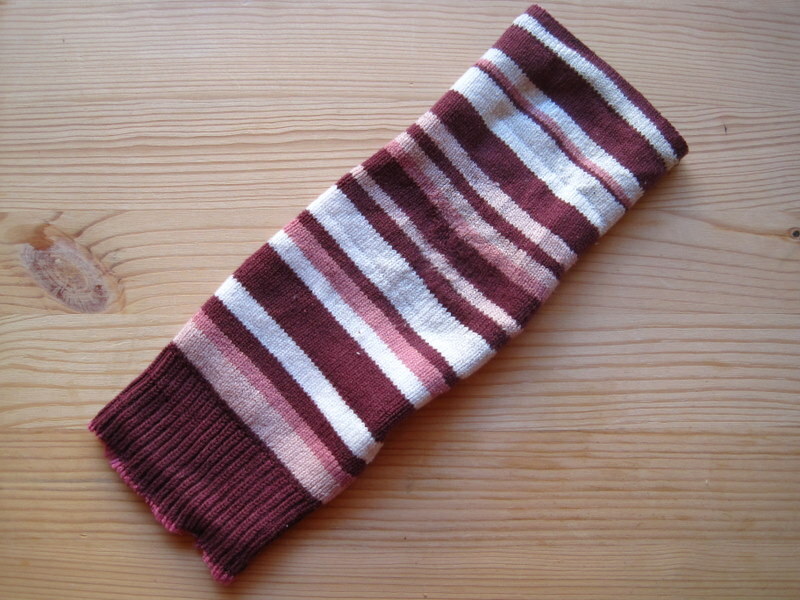 So, for reference, this is what my socks looked like as I got started. You can see the wear on the toes, but, happily, the upper portion is still in great shape. 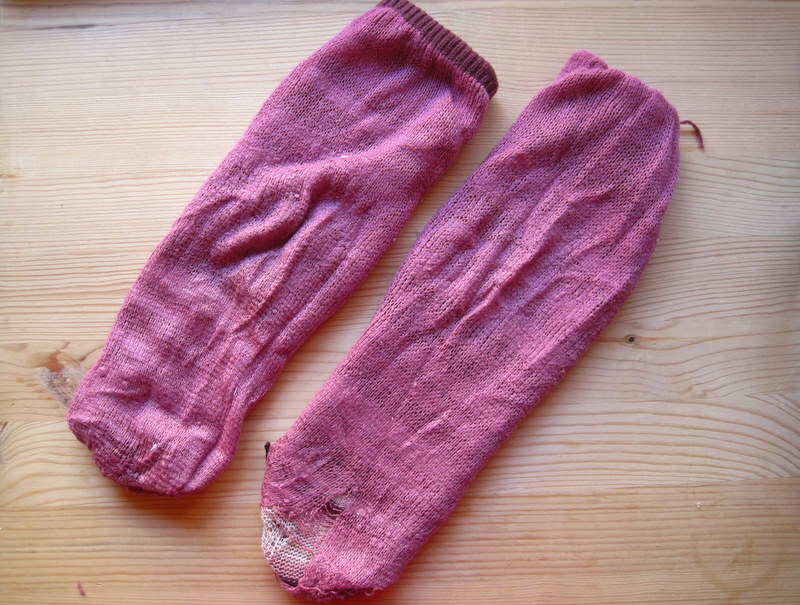 The wear is more evident on the liner, and this is actually why I can’t wear them anymore–my toes get stuck in the holes! The first step was to cut the two layers apart. The fuzzy pink one had to go the way of all flesh, but then I had the striped one ready to go. I trimmed the loose threads and then headed to my sewing machine. 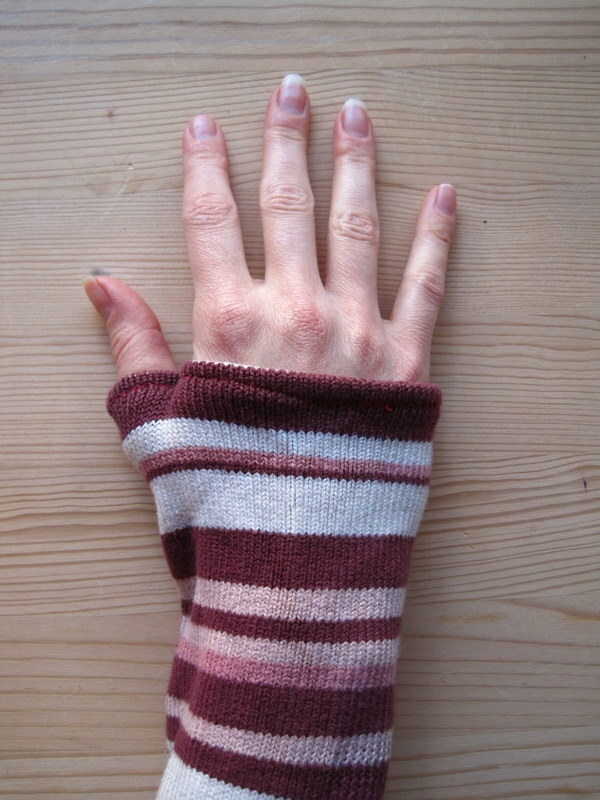 Here is my pre-arm warmer. I did the same on the bottom. 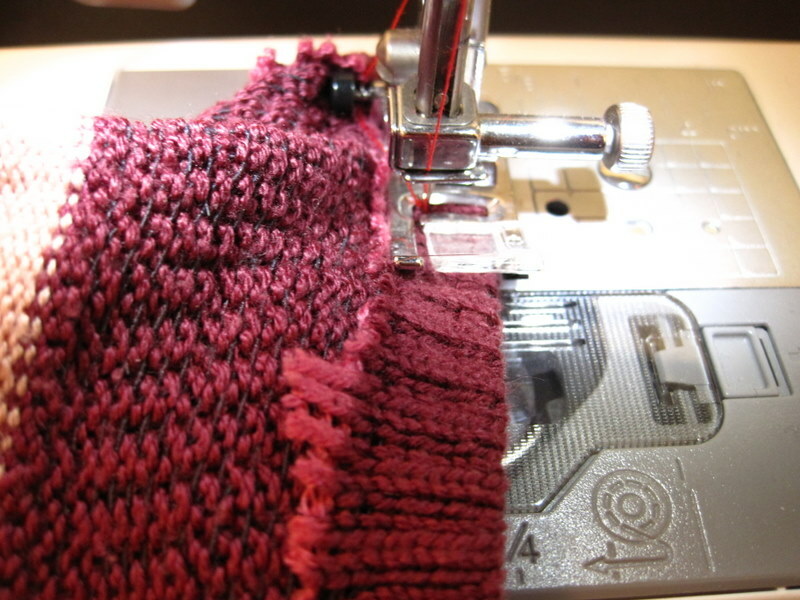 Here is my almost straight stitch. My mom always told us when we were little that a slight flaw in something adds character. This is a philosophy I wholeheartedly embrace! 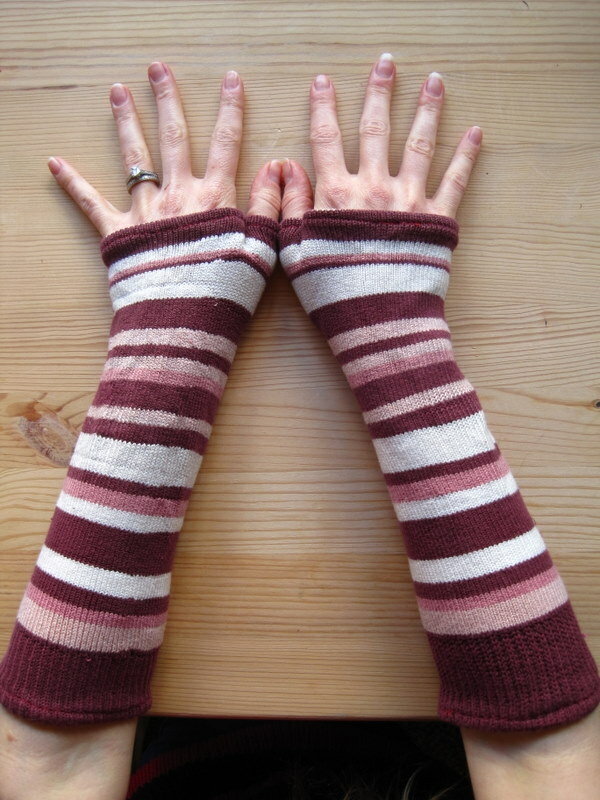 When that step was finished, I put them on my arms and pinched between my thumb and my forefinger to mark the place where I’d put in another little stitch to keep them on my hands. That’s it! 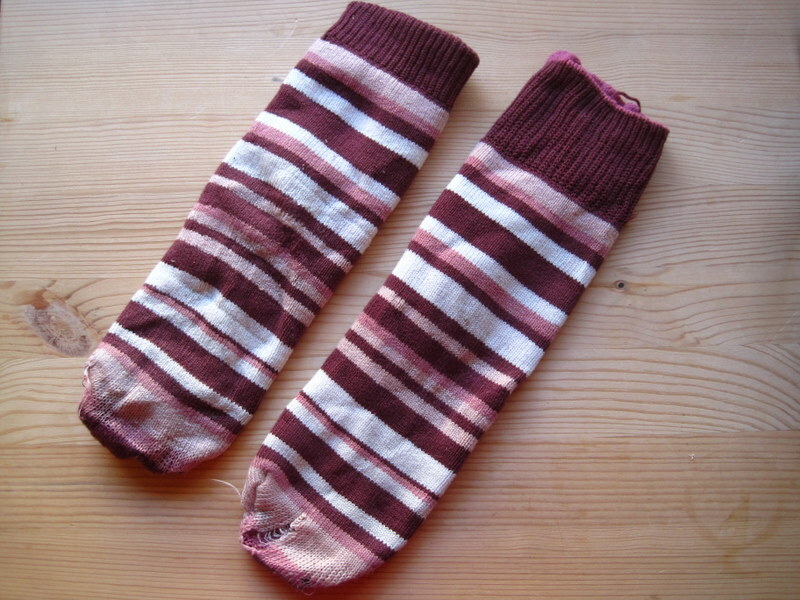 I love how they turned out, and I have a feeling I may never throw old socks out again. Well, at least not the pretty ones! I have the zeal of the converted. 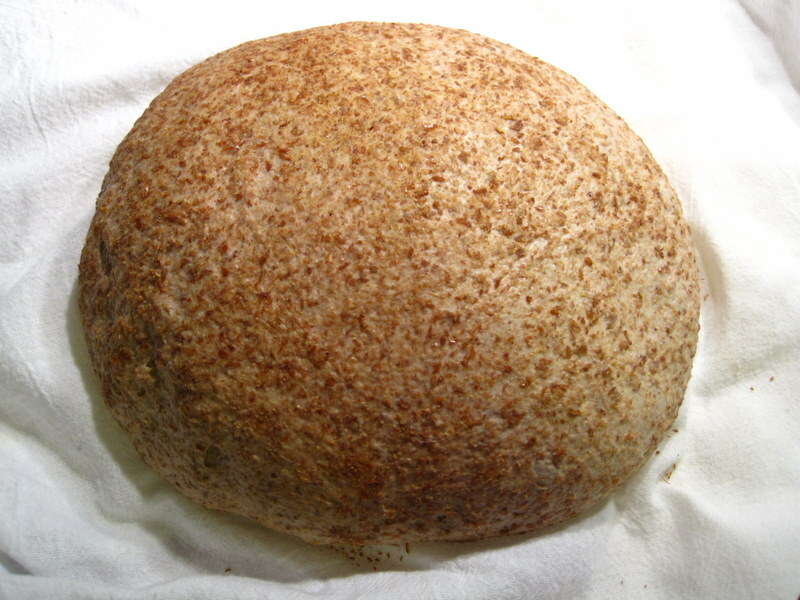 Jim Lahey‘s no-knead bread is not only super easy, it is also insanely delicious, since the long and slow ferment deepens the flavor. I have been making this bread for months, and I’m slowly working my way through the other recipes in his book. These days I use a lot of whole wheat flour, but in this loaf I decided to add some flax meal for extra crunch and texture. It was a total success! It is certainly true that whole wheat flour (especially if used exclusively) does not rise as much as white flour, but I don’t mind that one bit. We had some glorious sandwiches and cheese plates with this bread, and then Eric used the leftovers for spring panzanella. Delicious! 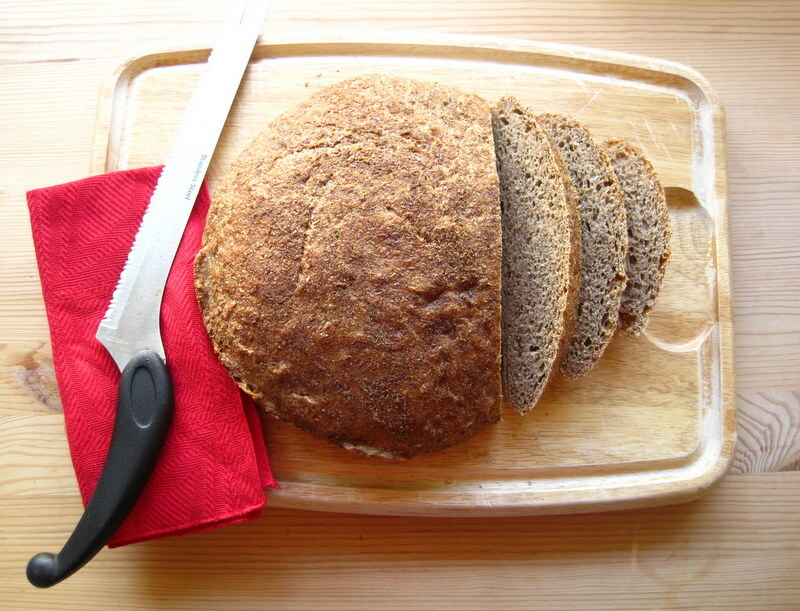 This bread actually reminds more than anything of the black bread (черный хлеб) I ate in Russia, a staple of every meal. 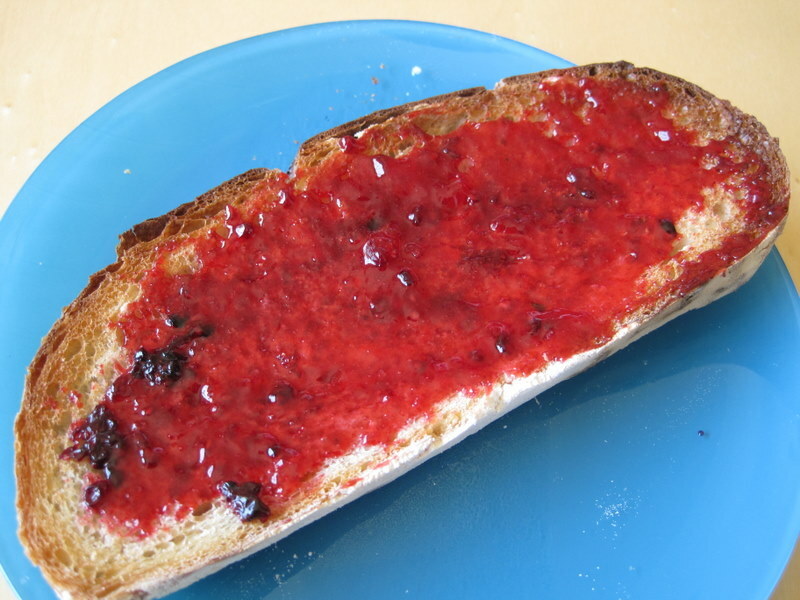 I loved its deep and rich flavor, with an almost molasses-like quality, and that is definitely here in this bread too. And, of course, the flax meal adds a hearty crunch! I have written in more detail about the no-knead process here, and you can also find step-by-step instructions in this article or in Jim Lahey’s book My Bread (ever so highly recommended!) 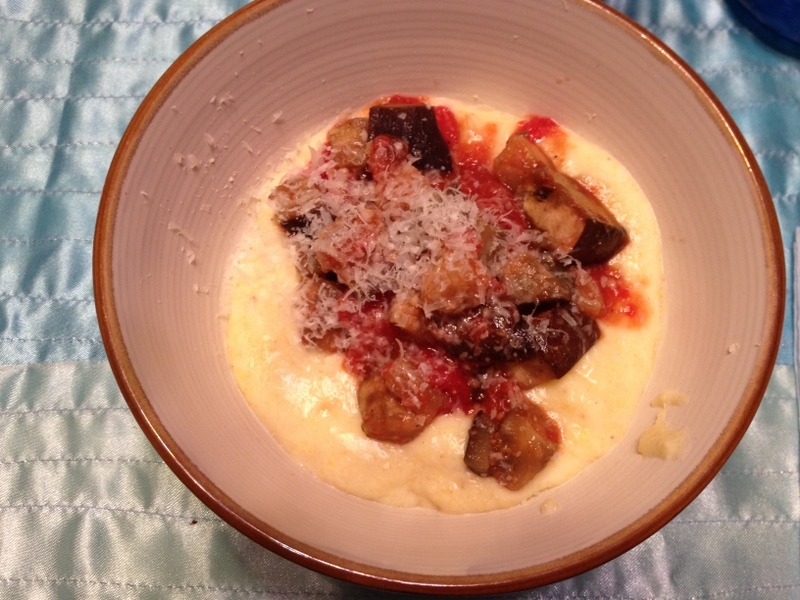 Here I will just walk through it in pictures (and, of course, provide the recipe at the end of the post)! 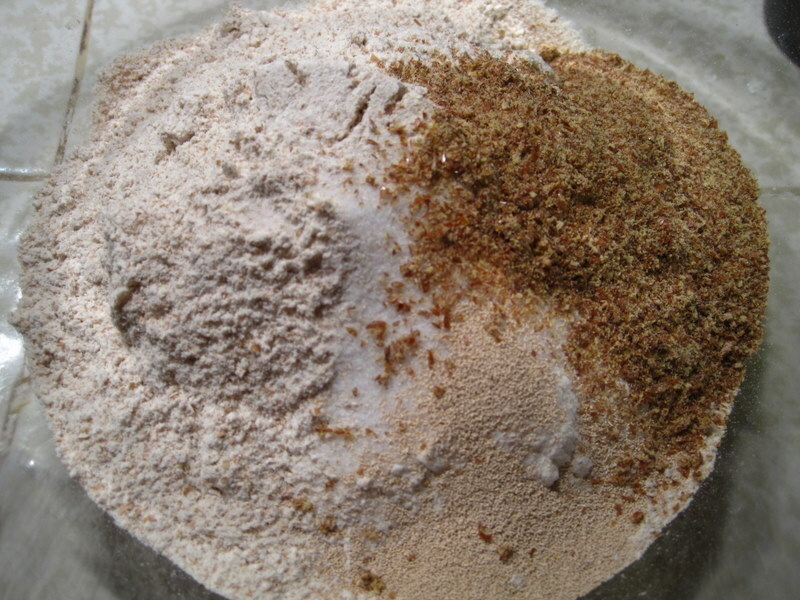 Above are the dry ingredients: flour, yeast, salt, and flax meal. 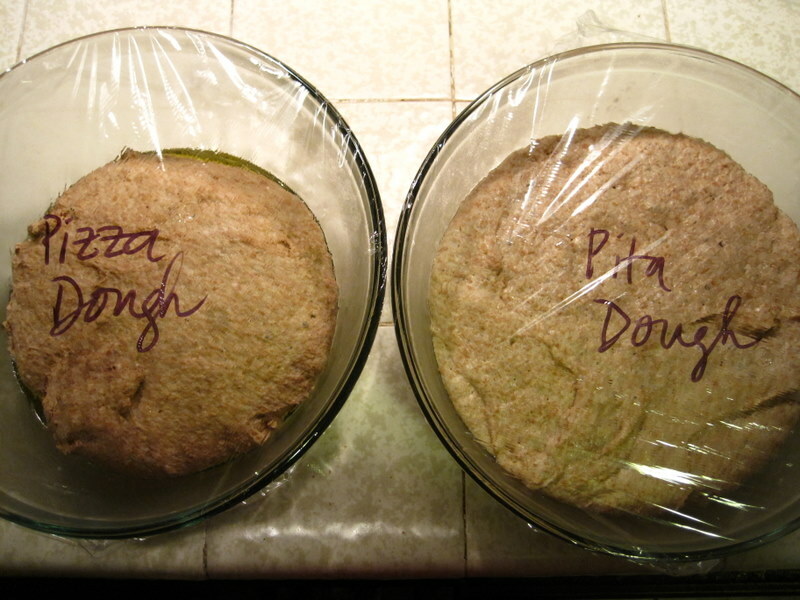 After you mix them, you add the water and stir by hand for about 30 seconds, until the dough is thoroughly moistened. 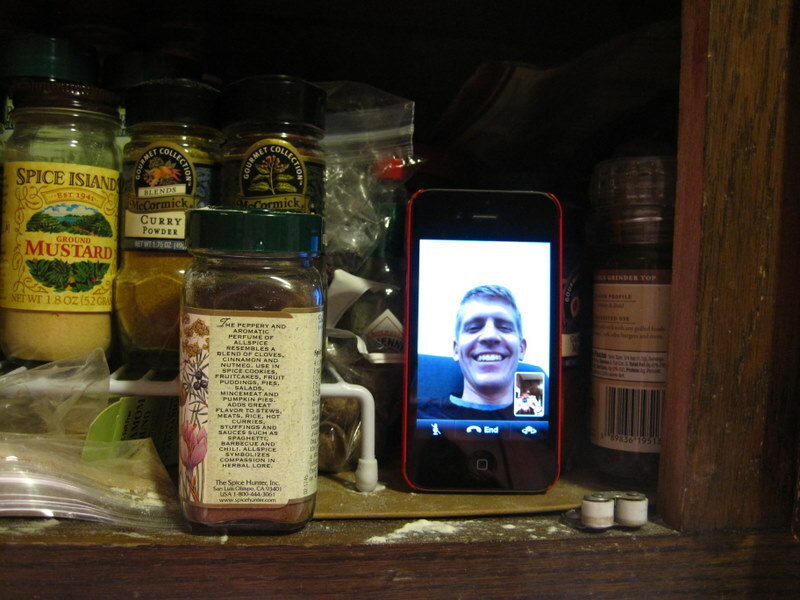 (Sometimes you will have to add extra water, a few tablespoons at a time, to get it there). This is what it will look like: a humble blob. Cover it with plastic wrap and let it sit for the next 12-18 hours, while you go on about your day and avoid getting dough under your fingernails with kneading. Added bonus! After those magical hours, your dough will have risen substantially. This is what it will look like: very porous and fluffy. This angle gives you an idea of how much it has risen. Please pardon inglorious lighting and focus. At this point, you’re ready to shape the dough into a ball. 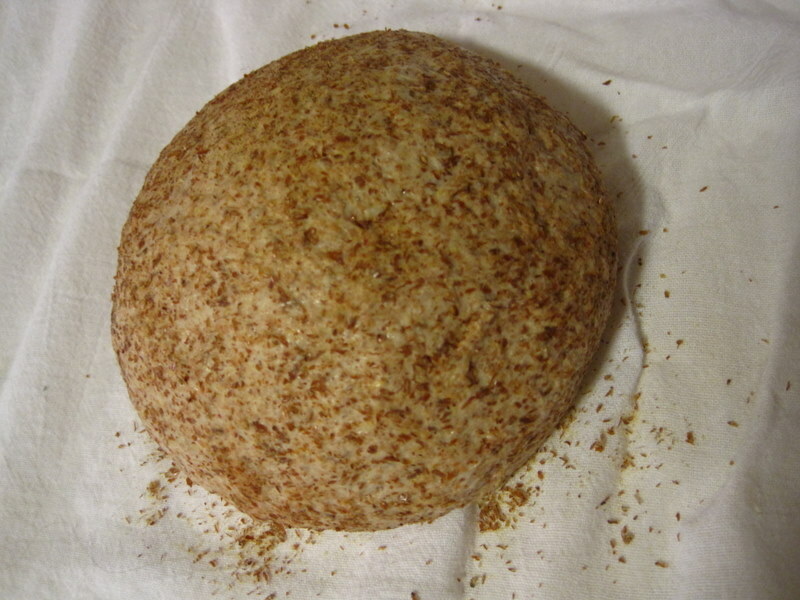 I spread out some flax meal on a cutting board, gently nudged the dough onto it with a wooden spoon, and spent 30 seconds shaping it. Voila! Your cute little ball will look something like this. 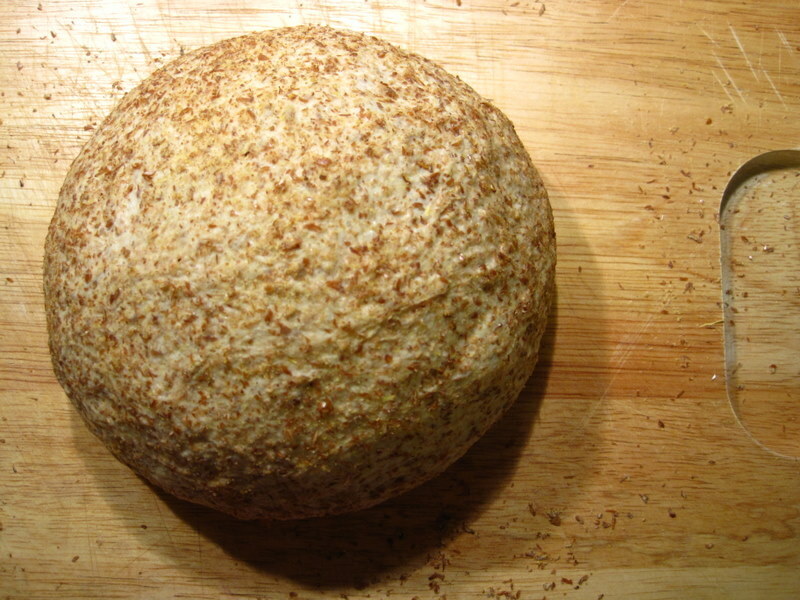 Then you sprinkle some flax meal on a tea towel, plop your dough down, and cover it. It can stay there for an hour or two. Here’s what it will look like after that rise. Now you place it in your pre-heated Dutch oven, and you’re ready to bake! And here’s what it looks like fresh out of the oven. Give it at least half an hour to cool (technically, it’s supposed to cool for an hour, but I am always hungry and impatient! ), and then dig in! I love hearing it crackle while it’s cooling, and nothing is better than that first warm slice. 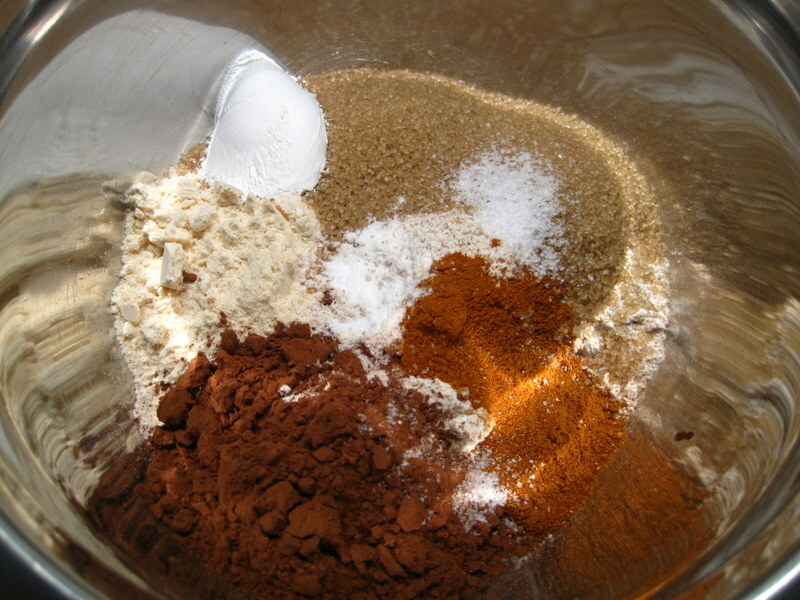 -In a medium bowl, blend the dry ingredients. Add the water and stir with a wooden spoon for 30 seconds. The dough will be very sticky. 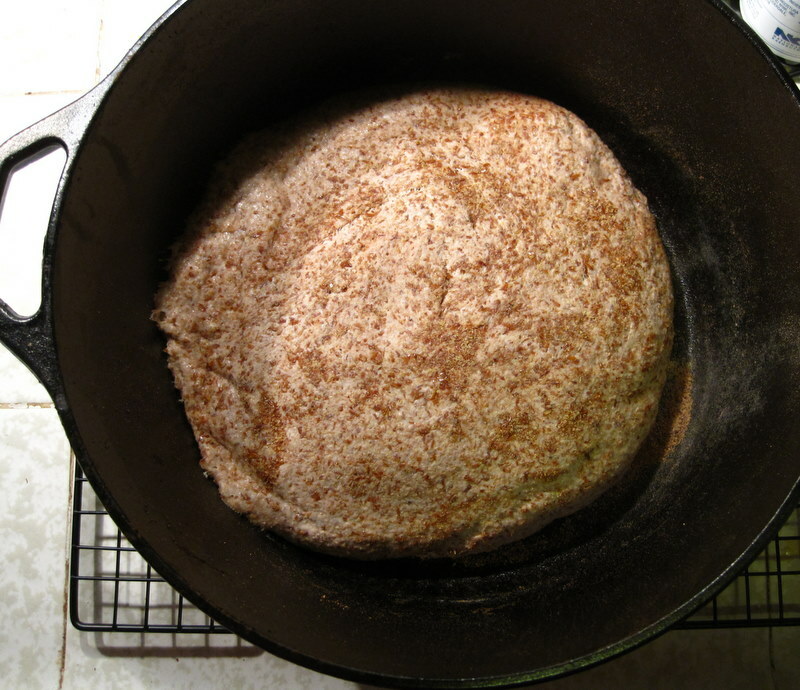 Cover the bowl and let rise for 12-18 hours, until it is doubled in size and the top is covered with bubbles. 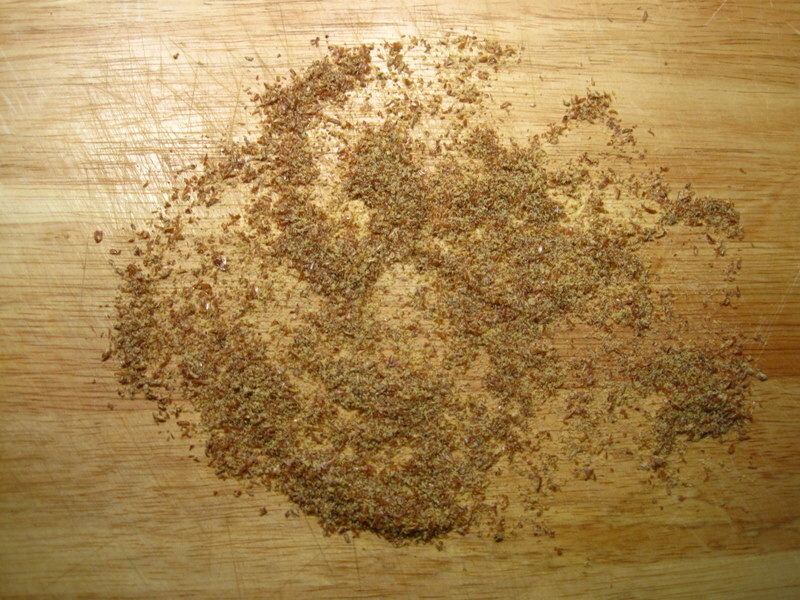 -When the first rise is complete, generously dust a work surface with flax meal. 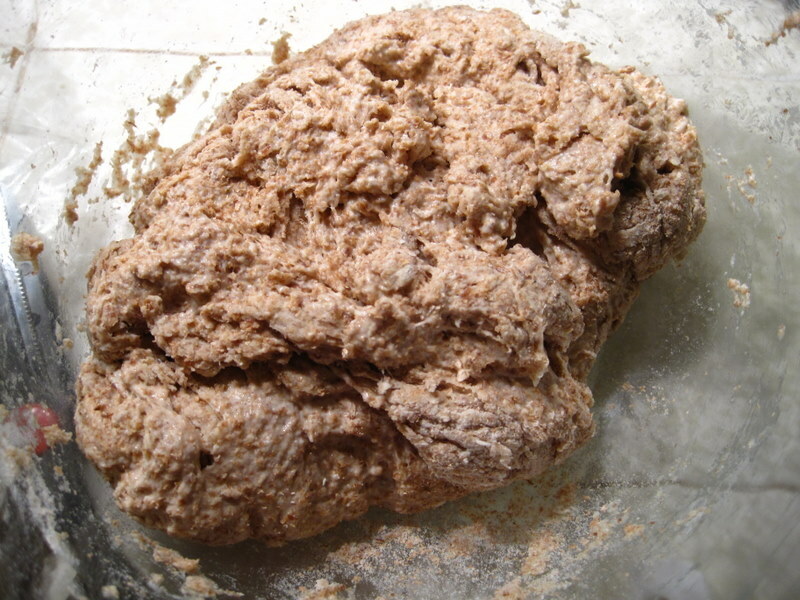 Use a rubber spatula to turn the dough out onto the work surface in one piece. 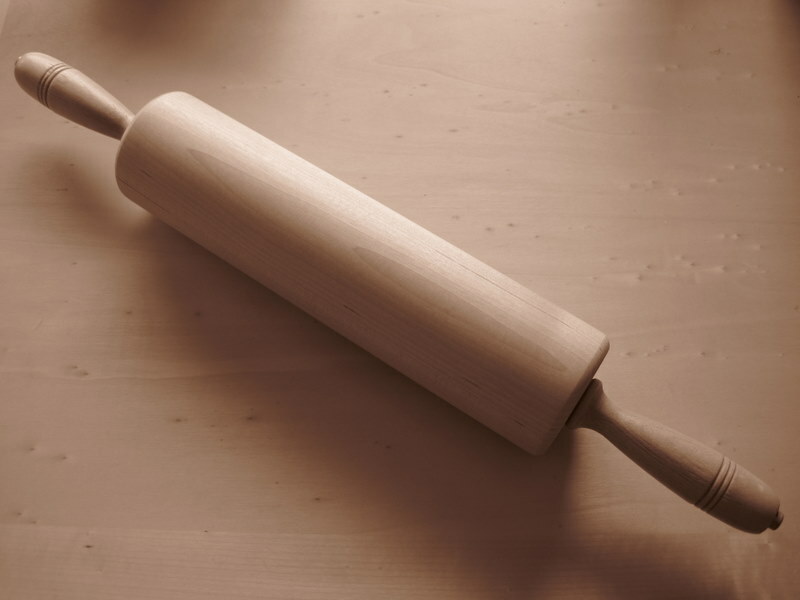 Using lightly floured hands, turn the sides of the dough up to form a ball, tucking in any loose edges for a clean, round shape. 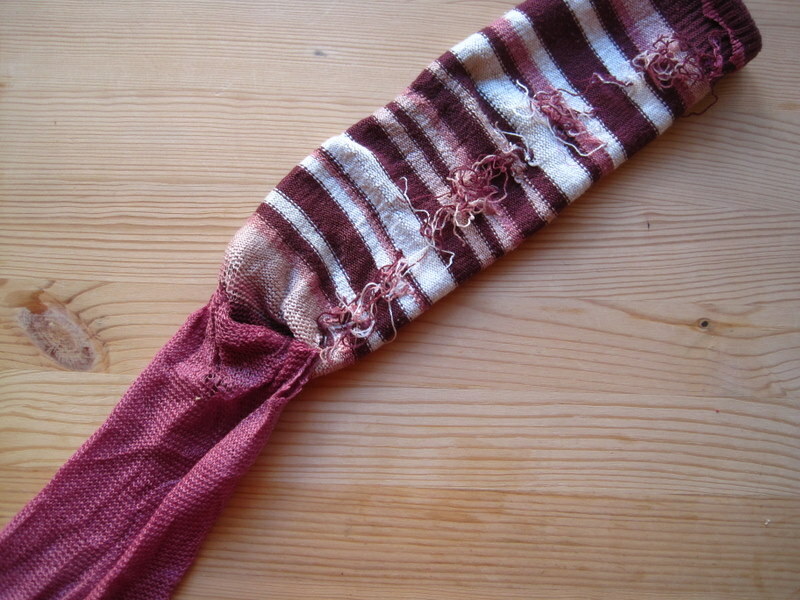 -Place a cotton or linen tea towel on the work surface and generously dust it with flax meal. 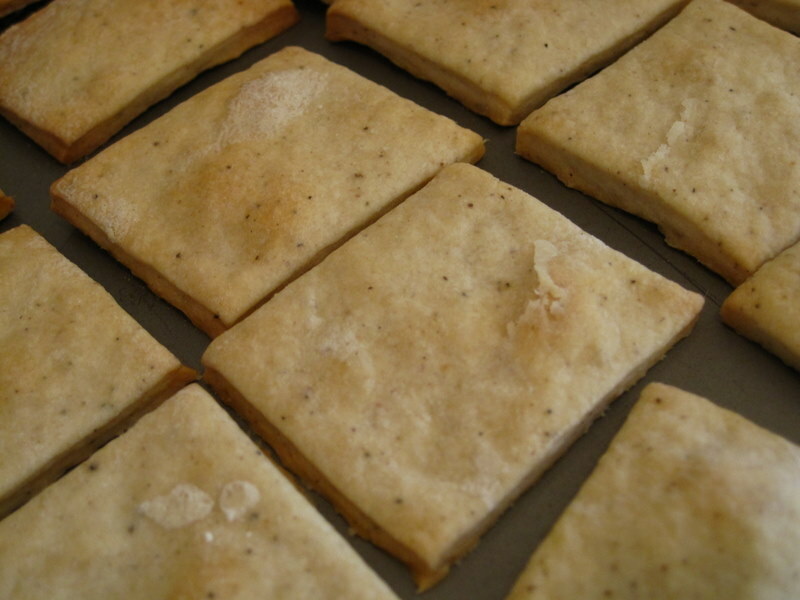 Lift the dough gently onto the towel, so the seam is facing down. 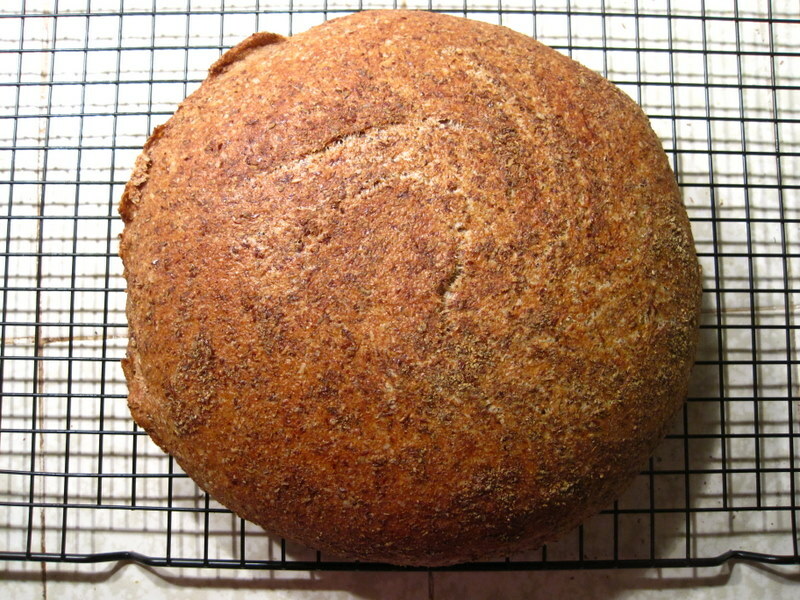 Dust the top of the bread lightly with flax meal. Fold the ends of the towel over the dough loosely and let it rise for 1-2 hours until doubled in size. -30 minutes before the end of the second rise, heat the oven to 475 degrees F and place a covered Dutch oven in the center of the rack. 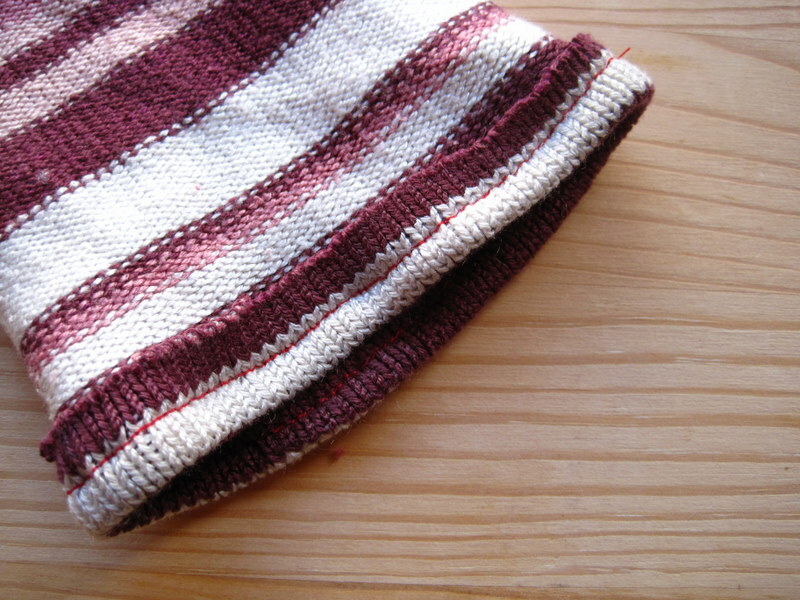 -Using potholders, carefully remove the Dutch oven from the oven and remove the top. Unfold the tea towel and gently but quickly turn the dough into the pot. Remember that it is very hot! Cover the Dutch oven and bake for 30 minutes. 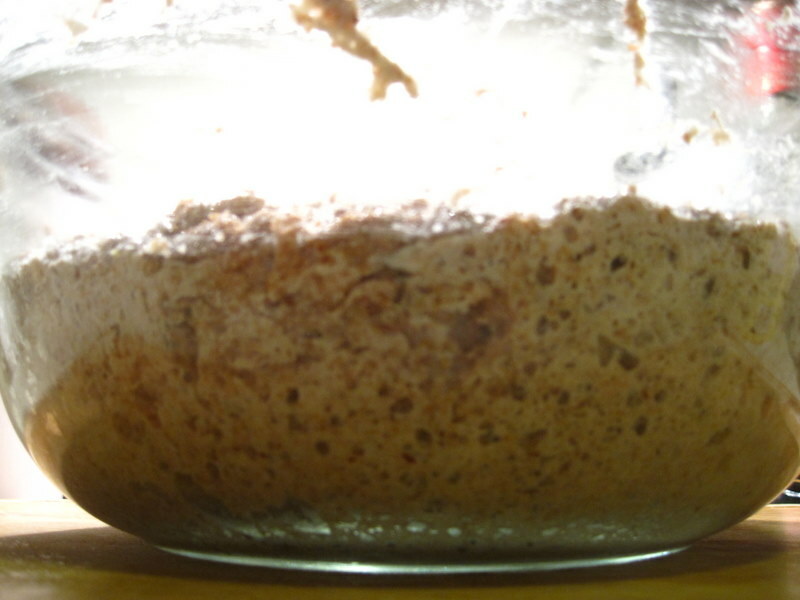 -Remove the lid and continue baking until the bread is a deep chestnut color but not burnt, 15 to 30 minutes more (mine was done in 15). 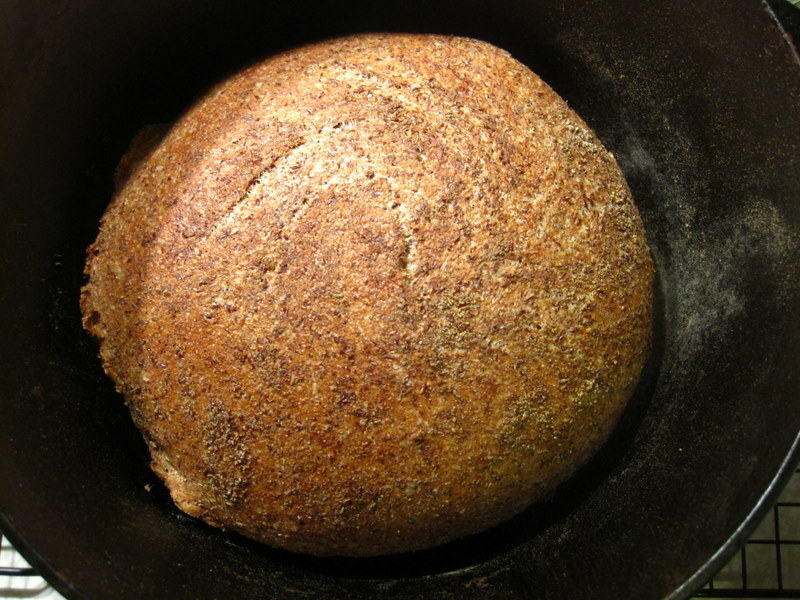 Use a heatproof spatula to carefully life the bread out of the Dutch oven and place it on a rack to cool for 1 hour. Enjoy! I am still slowly working my way through all the glorious bounty I brought back with me from the Bargain Barn in Memphis. 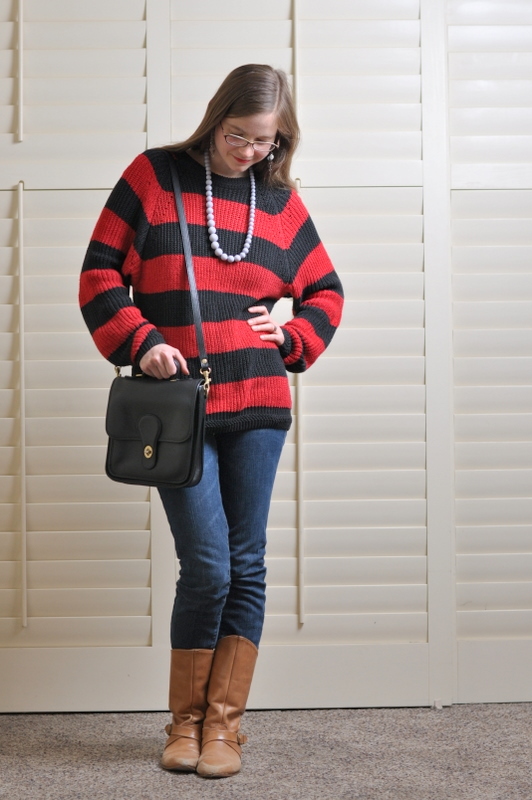 This weekend was cold and rainy, making my Bay area nostalgia all the more acute, so I knew it was the right time to wear a big and baggy sweater. 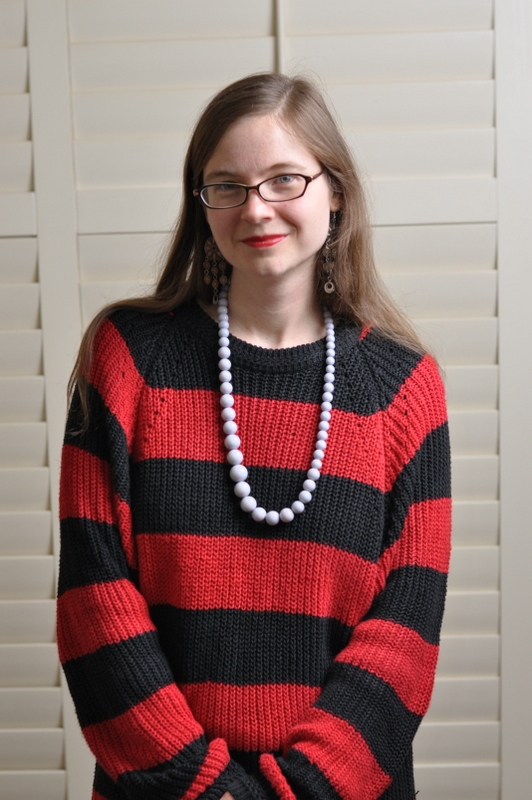 I love red and black together, and I wear it so much that it occasioned one of my nerdiest jokes of all time: on days when I wore these two colors, I’d ask my grad school comrades which Stendhal novel I was dressed as. I’ll be here all week, folks. A big sweater calls for form-fitting pants, and thus I present my skinny jeans. I bought them at my favorite thrift store in Pasadena a few months ago, and I found that, wow, they are really remarkable if you actually want to tuck your pants into your boots. A revelation! And one that saved my feet and legs in Aspen, for sure. The sweater itself is actually cotton, which is fabulous: not too warm, not too cold. 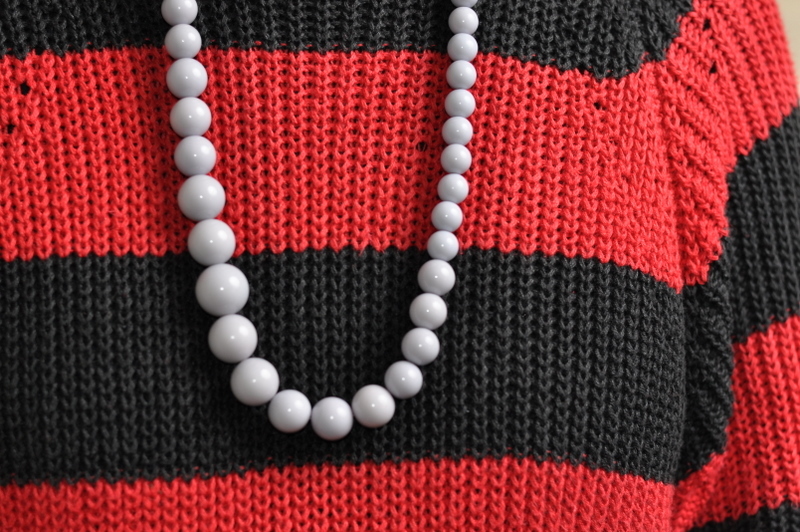 I added one of my favorite necklaces as a color accent–I just can’t get enough of it. My mom got it at an estate sale years ago, and she sweetly gave it to me. I placed it kind of asymmetrically, which I think is kind of fun. 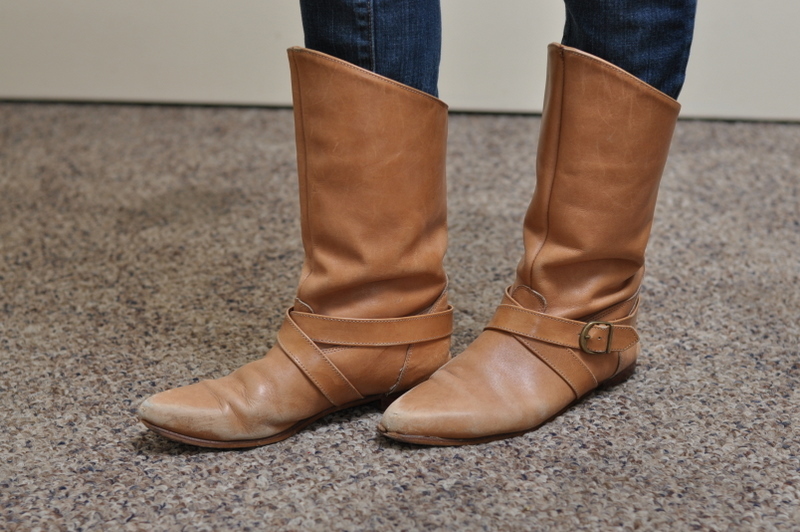 These vintage riding boots were given to me by a sweet co-worker in my old department. I just adore them. I love it when things magically come your way like that. These little dreamcatcher earrings are from Jun Lee in Memphis–the world’s best place for bling! They are so light and delicate, and I love wearing them because they don’t pull on my ears at all. And finally, there is my new purse! I was so excited when I found it at the Bargain Barn. 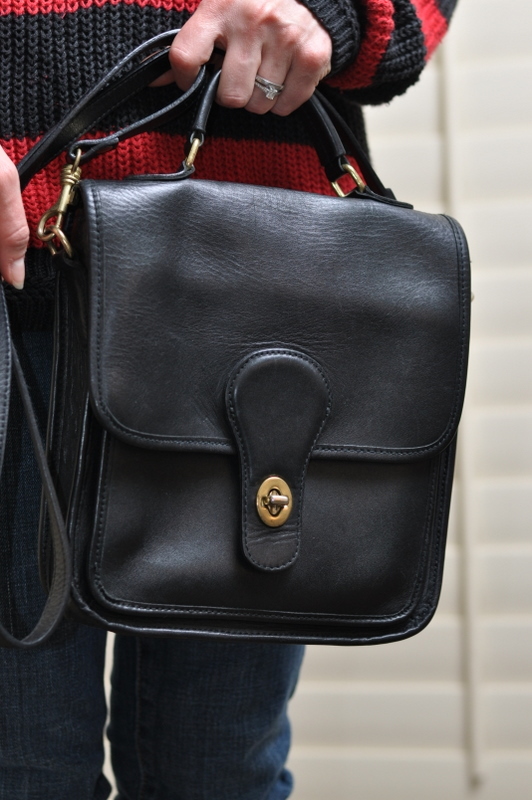 It’s Hunt Club, ever so 80s preppy, and it’s real leather in marvelous condition. I love the weight of it, and its multiple carrying options. 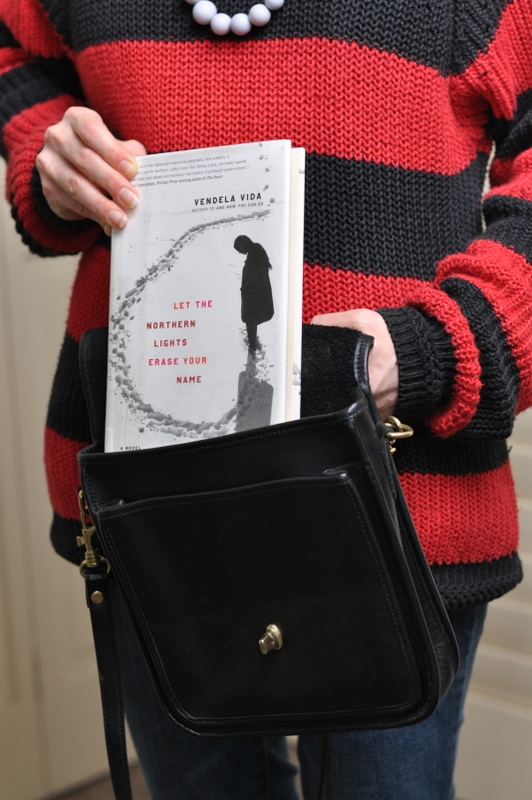 But most of all I love that it’s sort of a glorified satchel and that it’s the perfect size and shape for your library book! Hope you all had a lovely weekend, and hopefully one that was sunny and dry!